Northern India’s Spiti Valley is a wonderland. Anyone who has visited this valley in the Himalayas leaves a part of their heart behind. 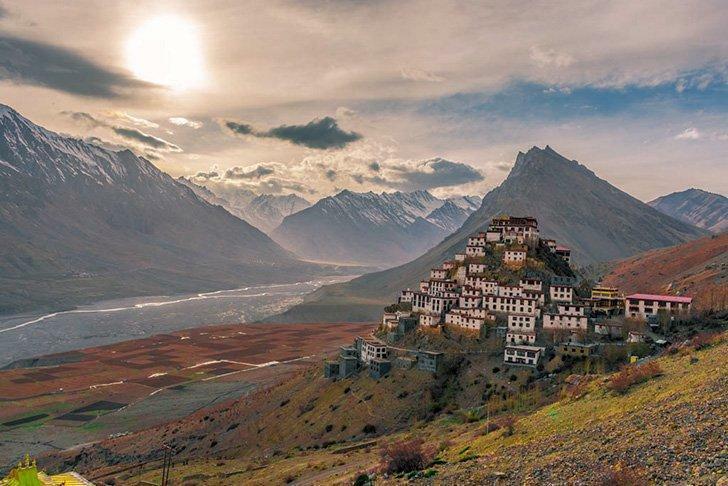 Spiti, in the region of Himachal Pradesh, is known as ‘Middle Land’ as it lies right between India and Tibet. 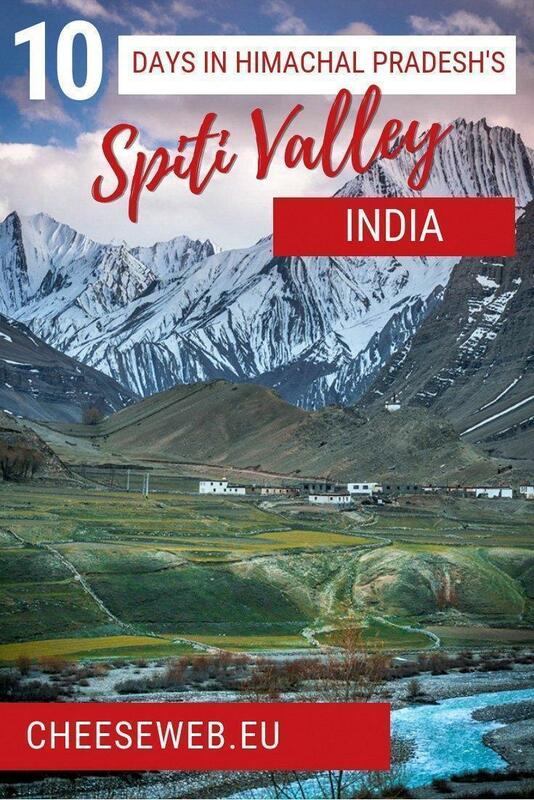 Spiti is also famously known as a cold dessert because it gives the best of both the worlds – a barren land with no greenery for miles, however still a cold one. 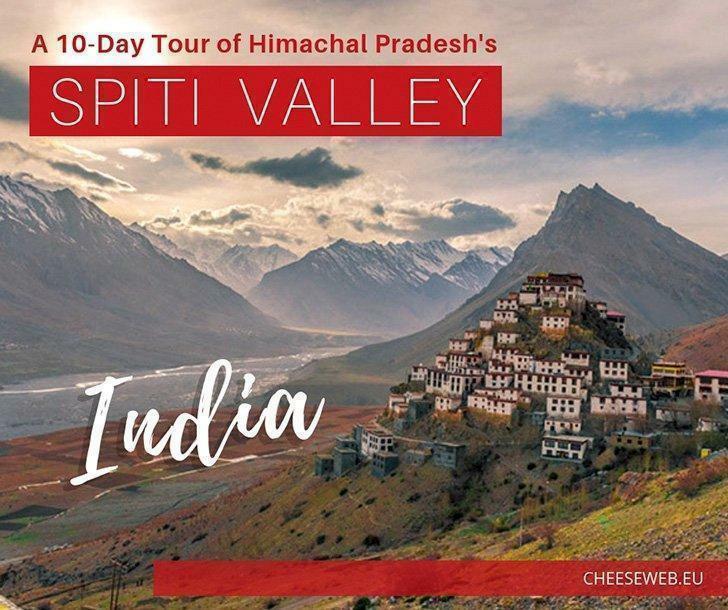 Below, I will take you on a virtual 10-day journey through the villages of the Spiti Valley. They are listed in order of which community comes first. In addition, I will also share some typical foods you must try in Spiti Valley, India. To reach the Spiti Valley, you first need to get to Shimla, which is the main hill station of India. To get from Shimla, to Spiti Valley you need to reach Reckong Peo, a small town in Kinnaur district. The route entails a challenging 412-kilometre-long (256 mi) road. Non-Indian tourists require a permit to visit Spiti through Kinnaur. From Reckong Peo you can either catch a bus that leaves for Spiti or hire a cab depending on your budget. Of course, a taxi will give you even more flexibility in travelling, but if you want a purely local experience buses are a great option. Buses have a fixed schedule, so do make sure to note down timings of the buses leaving from each area. Nako Village in the Himalayan Spiti Valley. There are many villages to visit in the Spiti Valley. You can hop on and off from one village to another as they are only about two hours apart. Plus, every community offers a unique atmosphere which makes every village worth visiting. 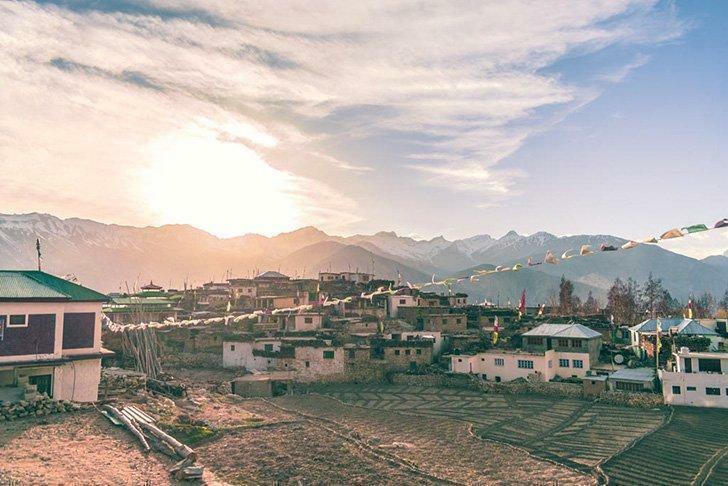 Below are six villages that you shouldn’t miss while in Spiti, Himachal Pradesh. Tabo is a prestigious village which has the oldest monastery, built in 996 A.D. It also has caves, used by the monks for meditation. In the past, villagers used to live inside these caves to protect themselves from harsh weather. Dhankar Village has an ancient royal atmosphere, and the entire village is built at an elevation of the barren hills. The Dhankar Monastery is also deemed to be the oldest and is built on a 300-metre high spur. 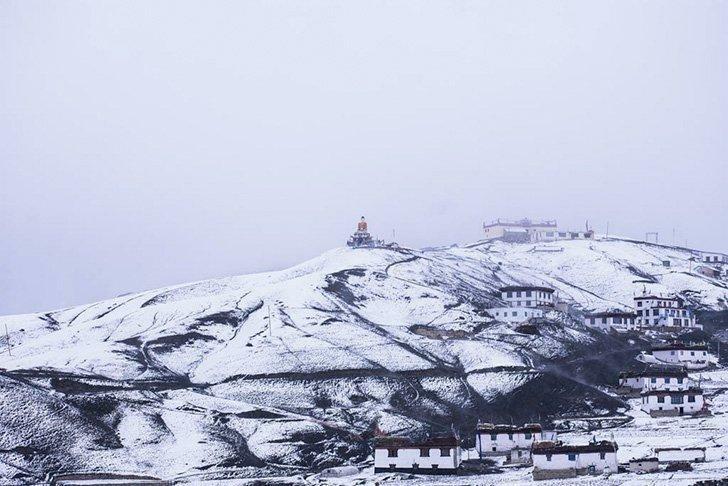 In addition to the monastery, you can also visit the gorgeous Dhankar lake that is situated right in the middle of the snow-capped mountains. Kaza is the capital of the Spiti Valley and is the largest town in the region. Here you can rent scooters and bikes and do plenty of shopping. Since the entire Spiti Valley has an essence of Buddhist culture from neighbouring Tibet, you can buy Tibetan antiques here. 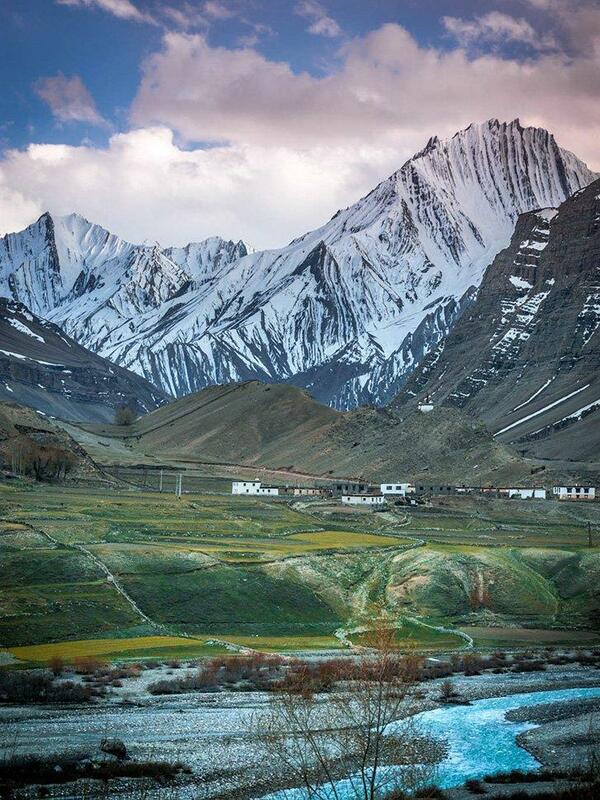 Langza is one of the many picturesque villages of the Spiti Valley. These three villages are close by, and travellers usually cover the entire circuit starting from Kaza in one day. If you want, you can spend the night in Langza and see the Milky Way. If you are lucky, you can capture it right on top of the Buddha statue. Furthermore, Hikkim is famous for having the world’s highest post office, and Komic has the world’s highest drivable village making these places unique. Kee Gompa is the most beautiful monastery I have ever seen, and it is also the largest monastery in the Spiti Valley. It is one of the best places to visit in Spiti Valley. The monastery has undergone destruction due to wars and earthquakes in the past, but it is was restored and is now home to several monks. Mudh Village is in Pin Valley which is one of the most beautiful parts of Spiti Valley. The landscape here is completely different as compared to Spiti and you will find snow here. There are several other villages in Pin Valley, but the last one is Mudh, where most travellers stay overnight. Imagine rafting between barren mountains at such a high altitude. River rafting is the top adventure sport in the Spiti Valley. 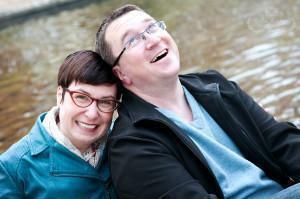 For an extra thrill, some people even jump in the river to swim in the freezing cold water. Kibber Village, about 20km from Kaza, is the place to stay to spot snow leopards. This village of roughly 80 houses is home to the Kibber Wildlife Sanctuary. Within the sanctuary, you can spot not only snow leopards but also the Tibetan wolf. 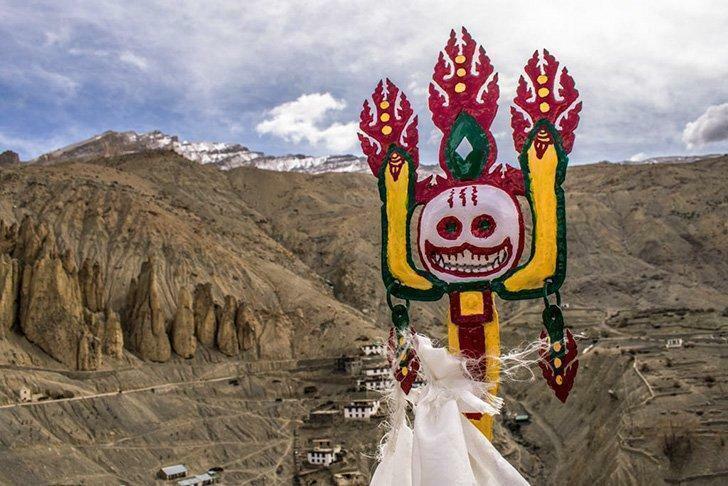 Although the Spiti Valley is part of India, it still has many cultural aspects of Tibet. Hence, you should definitely try dishes like momos, a Tibetan dumpling, and thukpas, a Tibetan noodle soup here, along with Indian tea. Further, you can also try Indian food that mostly includes vegetables with spices and rotis, a kind of flatbread. In Spiti, you will not find high-end restaurants with high-end service. However, there are several local dhabas, small roadside restaurants, that serve excellent hygienic food, and you will find these in every village. Most travellers to the region base themselves in the capital, Kaza. Here are some great options for where to stay in Spiti. Radhika Sharma is a travel blogger, an avid YouTuber & an IG influencer for the past 2 years, based in New Delhi. She is a co-founder of the blog Nomllers and you can find her work on YouTube and Instagram.